Remember when I told you Apt528 was going through some restructuring? Well, here's one of the changes...Garage Sale is now Used Friday. Stop by every Friday for great vintage and second-hand goods. 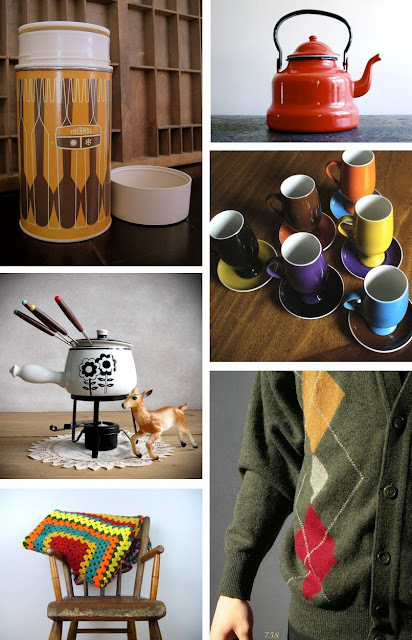 Today we're keeping you warm with cozy vintage finds. Thanks for featuring my thermos! thanks so much for including my teapot!